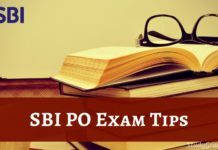 IBPS PO Preparation Tips 2019– IBPS PO 2019 exam is going to be held in two stages- the Preliminary and the Main Exam. The Preliminary exam has three sections with a total of 100 marks, whereas the main exam is divided into five sections with a total of 200 marks. However, the syllabus remains same for the preliminary and the main exam, but the difficulty level is higher in the main examination. IBPS PO Preliminary 2019 Examination will be conducted in October 2019 and the Main exam will be held in November 2019. 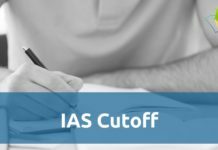 It is important for candidates to get an idea about the structure of IBPS PO 2019 so you can figure out a smart and a clear-cut preparation plan to achieve success. Therefore, the first thing that you need to know is the detailed IBPS PO syllabus as well as the paper pattern of IBPS PO Exam. The Preliminary exam includes questions on reasoning ability, quantitative aptitude, and English, whereas the main exam checks your knowledge in reasoning, general awareness, quantitative aptitude, English and computer basics. Here we present you some of the very useful IBPS PO Preparation Tips 2019 and preparation strategies for the forthcoming exam. In this IBPS PO, reading comprehensions are the most significant portion of English test. The comprehensions are designed to check candidates’ reading capability and grasping power. Make it a point that you practice reading newspapers and magazines in speed. The topic of comprehensions may range from sports, literature to finance and history. The fundamental grammatical concepts should be very clear for this section. However, the Cloze test is not very tough in the exam, but candidates should still spend 2-3 days to practice this portion. The IBPS PO exam aspirants should invest some time in improving the vocabulary as well. 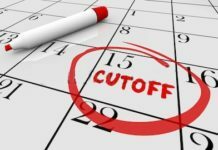 Make sure that you learn a few new words daily; do one-word substitutions and take a vocabulary quiz as much as possible. Usually, people spend a lot of time preparing for quantitative aptitude because this portion of the exam is slightly difficult. It is advised to take at least two months time to prepare for this portion. A lot of study material is available on YouTube and other online bank exam preparation boards so candidates’ should take advantage of those free resources. Daily practice of quantitative aptitude is highly recommended. A decent problem-solving skill is essential for scoring high in this section. You can’t afford to skip maths and data interpretation problems as these questions occupy a major portion of IBPS PO question paper; however, you can omit the geometry and trigonometry based questions if time is a constraint for you. Concentrate and practice to enhance your analytical capability instead of looking for easy tricks or shortcuts. Reasoning topics for IBPS PO exam 2019 include analogy, series problems, and comprehension reasoning type questions. If the reasoning is your area of excellence, then you should assign at least 20 minutes to this section. Don’t play the guessing game here as minus marking is also applicable to all the questions. On the other hand, if you are not well prepared for reasoning section, don’t assign too much time to it. This portion will be slightly easier than the other parts of the exam. Read latest news articles, magazines and newspapers to gather knowledge about current affairs and events in India. It is important to concentrate more on the latest events happening in the banking sector. You should also pay attention to the news related to the Indian economy, awards, and sports, etc. General knowledge section may also contain questions on RBI Functions and fiscal, monetary policies. 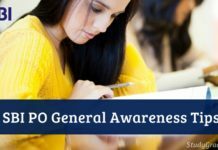 For IBPS PO exam, the candidates are supposed to have some fundamental awareness about computers. Learn basics of the internet, various networking protocols, and input/output device. It is also advised to learn about MS Word, Excel, and power-point to score well in the exam. Remember that the books that you chose for this exam have an important role to play in achieving a high score. There are plenty of bank exam books available in the bookstores which are written in the simple and easy language. 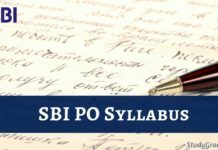 Make sure that you refer best books that include all the topics of the syllabus for IBPS PO 2019. Stay Connected with StudyGrades for latest updates on IBPS PO Preparation Tips 2019..!! 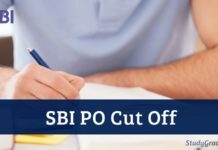 Next articleHow to Prepare for IBPS PO 2019 Without Coaching?